Every year, the Canadian International Auto Show is the perfect place to discover the latest news from the automotive industry. 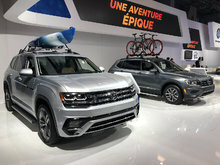 If you have a Volkswagen product on your shopping list, the German brand’s booth at the Metro Toronto Convention Center will give you all the necessary information about the model that interests you. 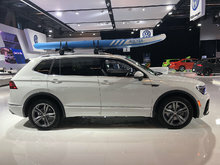 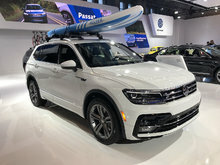 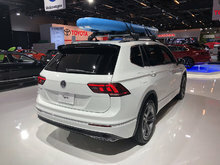 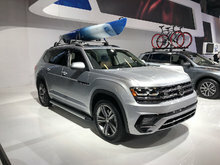 You can discover the all-new 2019 Volkswagen Jetta or the Volkswagen Tiguan and Volkswagen Atlas SUVs. Introduced on the market last year, the 2019 Volkswagen Jetta offers more space, more technology, a refined and elegant styling that is also modern and contemporary, and an efficient and powerful engine. The Jetta is waiting for you at the Toronto Auto Show. 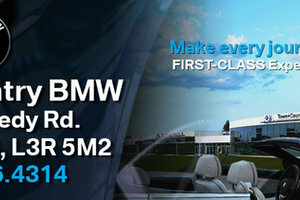 You can sit inside and discover the generous interior space. You can also discover just how spacious the new Jetta is, and just how much space there is in the trunk. 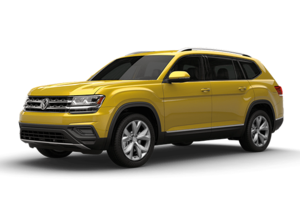 There’s also plenty of interior storage space. 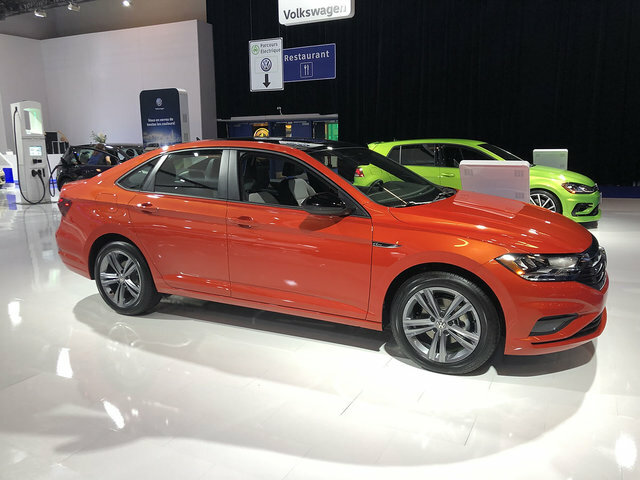 Inside, the Jetta is redesigned too, but you'll find that same German functionality and attention to detail that characterizes all German products. 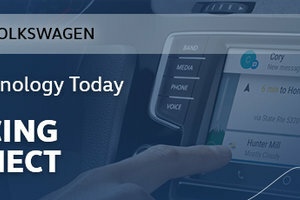 You can also check out the exclusive technologies offered by the new 2019 Volkswagen Jetta such as the digital instrumentation system offered in the high-end model Execline. 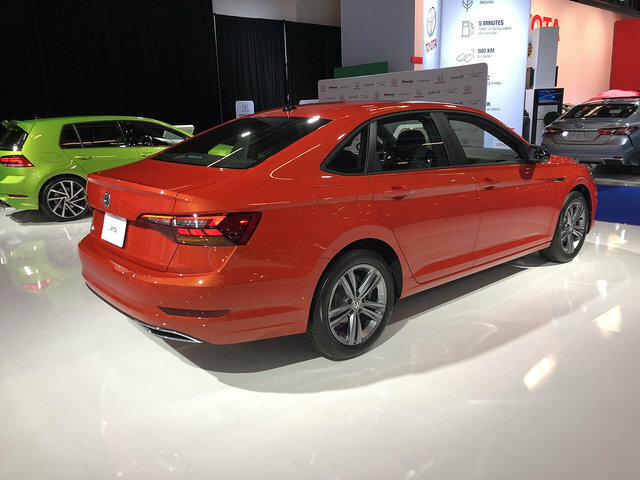 This system is fully configurable to your tastes and adds an unsuspected touch of luxury to the interior of the new Jetta. 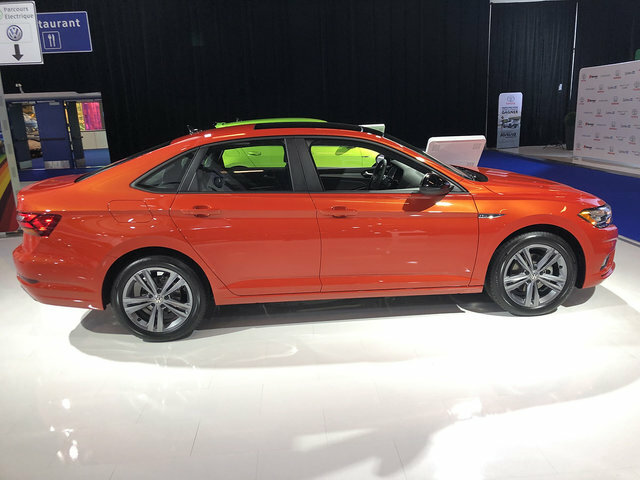 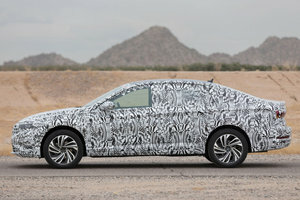 Under the hood, the 2019 Volkswagen Jetta offers a single engine, but the turbocharged four-cylinder in question offers more torque than any other engine in the compact segment. 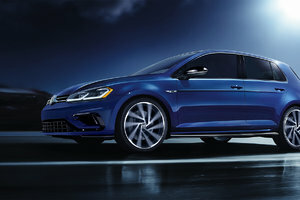 With 147 horsepower and 184 lb.-ft. of torque under your right foot, performance is up and accelerations are convincing. 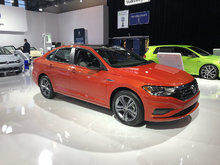 A six-speed manual gearbox sends the engine’s power to the front wheels, but you can also get an 8-speed automatic transmission. 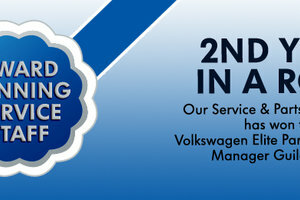 The latter improves both comfort and ride smoothness while being particularly effective in reducing fuel consumption. 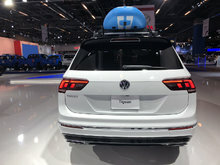 You get an average fuel consumption rating of only 7.8 liters per 100 kilometers in the city and 5.9 liters per 100 kilometers on the highway. 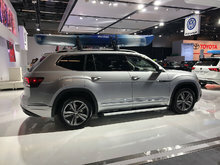 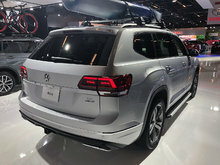 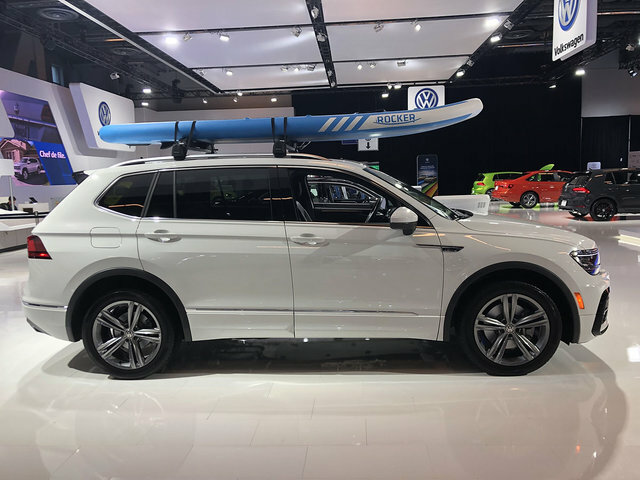 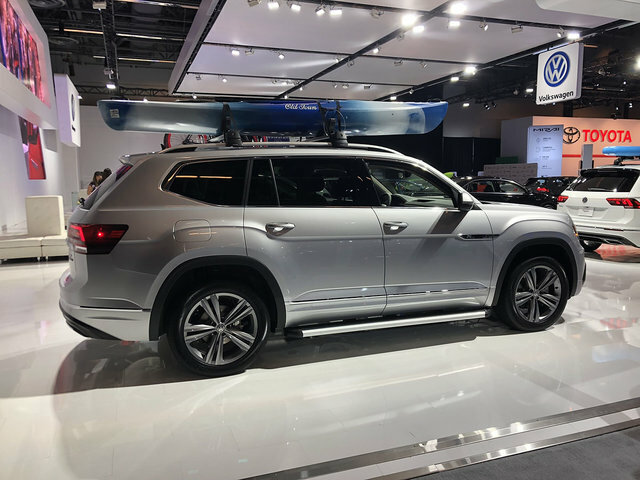 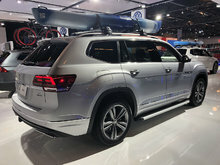 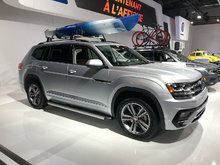 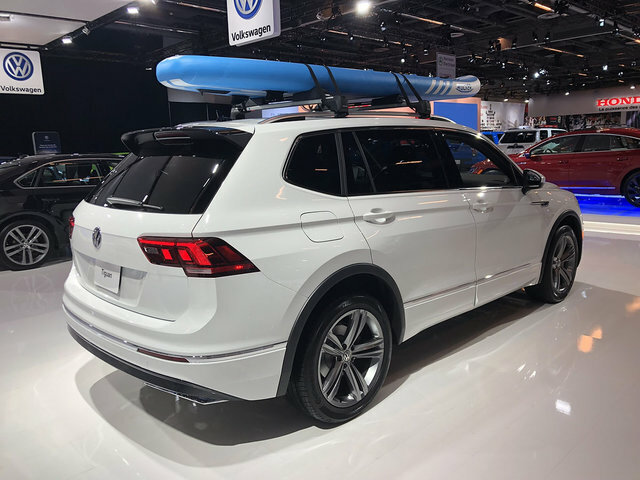 If you prefer a sport utility vehicle, do not hesitate to check out the Volkswagen Atlas at the convention center. 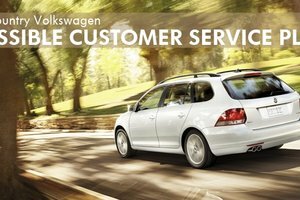 You will notice its refined lines and a spacious interior that offers space for 7 passengers in complete comfort. 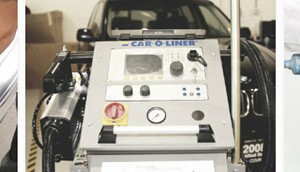 In addition, you benefit from more than 2,740 liters of trunk space. 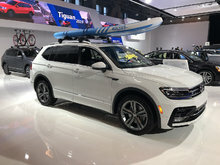 For a slightly more compact but equally versatile SUV, take a look at the new Volkswagen Tiguan. 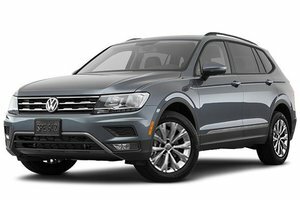 Its standard turbo engine is powerful and fuel efficient and there is enough space behind the rear seats for an optional third bench seat. 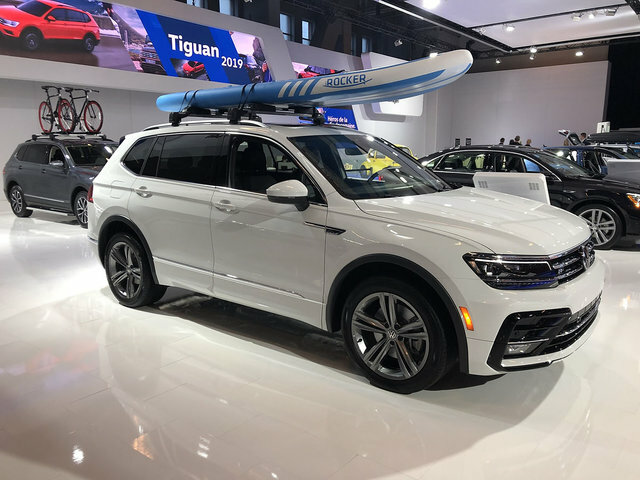 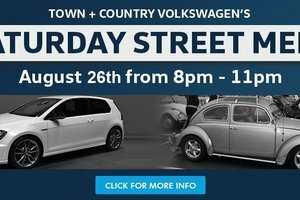 Come discover the complete Volkswagen lineup at the Toronto Auto Show today and then come test drive the vehicles that caught your attention at Town and Country Volkswagen.